The partaking in Communion is receiving a blessing. It is spiritual food, something God has ordained to help us. It also is a unifying measure, where all the members of the church are bound up together in Christ. Also, as communion is only for believers (more on that later), and done in corporate worship, it is a repeated visible declaration of faith, a quiet proclamation that I am a believer. Of course, this does not mean that Communion should be showy, irreverent, or prideful. Paul has harsh words for those that misuse the sacrament. that the partaker believe in Jesus Christ as his Savior. Some ask, since you practice Paedobaptism, why do you not practice Paedocommunion? That could be an article in itself, but there are two reasons: the first is that while baptism is the visible entrance into the earthly church, communion is, once again, part of a public profession of faith and a spiritual blessing to those who believe. This command is clear in scripture, for those who would partake, to “examine himself, and in so doing he is to eat of the bread and drink of the cup.” (1 Corinthians 11:28) (see John Calvin’s Institutes of the Christian Religion, Book 4, Chapter 16, Section 30). Secondly, some would argue that children did not participate in passover, and thus, we should not allow them either. However, there does not appear to be enough evidence that says definitively children did not participate. Requiring a profession of faith for partaking has led many congregations to distinguish between communing members (children who have made a profession of faith but are still very immature in their faith) and simply members. Some Presbyterian congregations do practice close communion (note: not closed), that is, those of the “same faith and practice”. Usually in the case of the congregation practicing this, it will mean the Session has reviewed doctrines practiced by other churches and those that believe mostly similar doctrines are allowed to partake. As noted above, the PCA as a denomination does not require one or the other, it merely states that individual congregations may practice open or close communion. 27 Therefore whoever eats the bread or drinks the cup of the Lord in an unworthy manner, shall be guilty of the body and the blood of the Lord. 28 But a man must examine himself, and in so doing he is to eat of the bread and drink of the cup. 29 For he who eats and drinks, eats and drinks judgment to himself if he does not judge the body rightly. 30 For this reason many among you are weak and sick, and a number sleep. The judgement for those who wrongly partake of communion is clear here. It is a blessing for those in the true church, but a curse for those who do not believe. Some of the finer specifics of administration can vary from congregation to congregation. Some churches may serve real (alcoholic) wine (grape juice is almost always offered as a substitute for those who desire it instead), and others just grape juice. In my congregation, we only serve grape juice. The bread used also varies from congregation to congregation. Some use actual baked loaves of bread, and chunks are torn off by each partaker as it is passed. My congregation uses a yeast-free bread that is similar to soft shortbread, cut into small pieces. And some churches do use the small wafers with the cross on them, though these seem to be a minority in Presbyterian circles. Most Presbyterian churches serve communion once a month, usually on a specific Sunday of the month. Even though Calvin was a staunch supporter of weekly communion, many churches in the Reformed tradition serve Communion only monthly, and Presbyterians in general are no exception. Many feel that having weekly communion lessens the importance and the deepness of the sacrament. But you can make even the common special if you vary parts of the service and encourage those in attendance to prepare themselves. So Communion is a blessed time for the church body, regardless of the finer doctrinal details. It is a time to remember Christ’s sacrifice, and to be renewed even more by the work of the Holy Spirit. But we must remember that it is a solemn occasion, and we must come to the table in a worthy manner. Even though there can be large differences in some of the specifics, the core elements remain the same, and the blessing is showered down upon all who receive in this worthy manner. At some point last year I mentioned that the four marks of the Catholic Church were the it was One, Holy, Catholic and Apostolic. But, there really seems to be a fifth mark of the Church which encompasses them all: She is Eucharistic. Since I’ve got a little time on my hands and a captive audience, I think I should define a few terms. Eucharist is a Greek derived word meaning “thanksgiving”. What Catholics call “The Mass” or “The Holy Sacrifice of the Mass” is also very validly called “The Eucharistic Sacrifice” or just “The Eucharist” for short. On one level, it’s essentially a thanksgiving offering. A continuation of the Hebrew Todah (thank offering) which is a sacrifice of bread given to thank God when your life has been spared. The Eucharist appears to be the same sacrifice made by Melchizedek in Genesis 14:18. But, it is really the same sacrifice made by Jesus in Luke 22:19-20 as well as Luke 23:46. Yes, the sacrifice Jesus made for us 2000 years ago is made present over 400,000 times each day by priests throughout the world. It is not repeated, it is the same sacrifice. This is not rocket science; there are neither rockets nor science involved. It’s just complete conviction that what Jesus said: that He would be with us, that the Church would not perish, that in order to have life within you you must eat His Flesh and drink His Blood, is all very real and tangible and possible for every man and woman in every age to experience. How do we experience Christ? And this food is called among us Εὐχαριστία [the Eucharist], of which no one is allowed to partake but the man who believes that the things which we teach are true, and who has been washed with the washing that is for the remission of sins, and unto regeneration, and who is so living as Christ has enjoined. For not as common bread and common drink do we receive these; but in like manner as Jesus Christ our Saviour, having been made flesh by the Word of God, had both flesh and blood for our salvation, so likewise have we been taught that the food which is blessed by the prayer of His word, and from which our blood and flesh by transmutation are nourished, is the flesh and blood of that Jesus who was made flesh. Who can participate in the Eucharist? Only those who believe (and would die for) what the Church teaches. What is the Eucharist? The Body and Blood of Christ. What do you need to do to purify yourself for receiving the Eucharist? Confess your sins. And it’s not like anyone’s accusing him of making this up. It’s pretty clear that whatever algorithm for worship St. Justin is describing isn’t something he concocted, it’s a tried and true liturgy. It’s a work of the people for God passed down through Sacred Tradition. I can’t even pretend to speak for any other living soul, yet alone the billion plus Catholics wandering in and out of churches. However, when we come face to face with God, especially when He is exposed in a monstrance for Eucharistic adoration, there is an immediate and overwhelming sense of awe that cannot be purely learned behavior. Eucharistic adoration is a practice that seems to be growing in the United States with adoration chapels and perpetual adoration devotions cropping up here and there. Especially in the years since Bl. 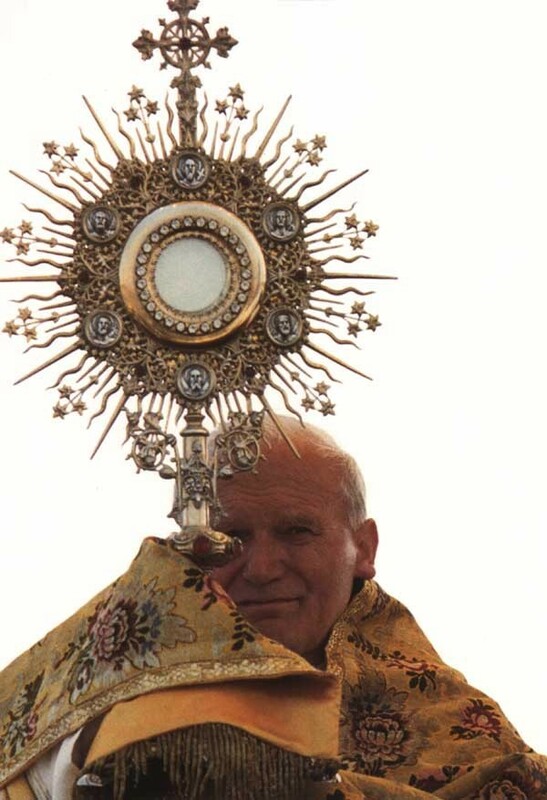 Pope John Paul II proclaimed the Year of the Eucharist in 2005, the year he died. My first encounter with Eucharistic adoration took me wholly by surprise. I didn’t even know what I was looking at, but I felt as though I had been hit by a ton of bricks. I had been lured to a weekday Mass by a girl who had a strange habit of going to church every day. And that day happened to be a day when Adoration and Benediction was taking place. Adoration, being the time for quiet reflective prayer before Our Eucharistic Lord placed in a receptacle called a monstrance on an altar for everyone to see. Benediction, being the service after Adoration when the priest returns the Eucharistic to the tabernacle. I was just looking, not understanding anything, but knowing that something strange was moving in my heart. I think that’s a common occurrence but if you walk into a church with the Eucharist exposed and you kneel down to pray and you don’t see or feel anything, don’t be too disheartened. But, if Christianity is an encounter with a Person, then the Eucharist is the best possible way to make that encounter. Prayer and Bible study are fantastic sources of strength and actual grace (the grace to act). But it’s only the sacraments that give us sanctifying grace (the grace to be saved) and the Eucharist is certainly the most readily frequented sacrament there is. So why is the Church Eucharistic? The Eucharist is a sign of our unity and oneness. It is the same offering happening throughout the world. The Eucharist is a sign of holiness, receiving it sets you apart from the rest of the world and commits you to the mission of Christ and the Church. The Eucharist is universal; everyone who is worthy and believes can partake in the banquet regardless of any distinction, except those aware of grave sin. The Eucharist is Apostolic, the example was given to the Apostles by Jesus at the Last Supper and even St. Paul participated in the breaking of bread (Acts 27:35). and because of that, He is in us as we are in Him as much as humanly possible! The Lamb’s Supper by Dr. Scott Hahn; details how the book of Revelation can be seen as a recipe for Mass. For a Baptist, The Lord’s Supper is not a supernatural experience. It’s remarkably ordinary. It’s not a channel of divine Grace. It’s simply a time to remember Christ’s sacrifice. That said, we do believe that it’s important. It helps us to remember who we are, who God is, and offers a time for self-reflection. It’s a time to examine our own lives for unrecognized, and un-confessed sin. 23For I have received of the Lord that which also I delivered unto you, That the Lord Jesus the same night in which he was betrayed took bread: 24And when he had given thanks, he brake it, and said, Take, eat: this is my body, which is broken for you: this do in remembrance of me. 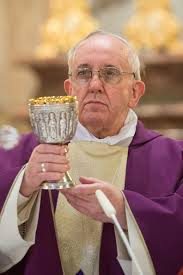 25After the same manner also he took the cup, when he had supped, saying, This cup is the new testament in my blood: this do ye, as oft as ye drink it, in remembrance of me. 26For as often as ye eat this bread, and drink this cup, ye do shew the Lord’s death till he come. 27Wherefore whosoever shall eat this bread, and drink this cup of the Lord, unworthily, shall be guilty of the body and blood of the Lord. 28But let a man examine himself, and so let him eat of that bread, and drink of that cup. 29For he that eateth and drinketh unworthily, eateth and drinketh damnation to himself, not discerning the Lord’s body. 30For this cause many are weak and sickly among you, and many sleep. 31For if we would judge ourselves, we should not be judged. 32But when we are judged, we are chastened of the Lord, that we should not be condemned with the world. Our Pastor makes it a point, after reading the above passage, to emphasize the fact that we are not to take the cup unworthily. If we have any unresolved sin, we should not partake of the Lord’s supper. If we have a conflict with another, we should seek reconciliation first, and participate another time. I said earlier that Baptists see nothing supernatural about the Lord’s Supper. That’s only half true. While we don’t believe that the wafer and wine actually become the body and blood of Christ, we do take verse 29-32 seriously. God knows our thoughts, our hearts, and even sins we’ve forgotten about. Verse 30 tells us that if we partake unworthily, there could be actual physical consequences. To be honest, there’s a part of me that is a little fearful when I consider this. It puts me in mind of the awesome power of God, and His perfect righteous standard. That line of thought leads me to realize just how far short of that standard I fall. The purpose of celebrating the Lord’s Supper is to remind us of Christ’s awesome sacrifice. And how can we understand the true mercy inherent in that sacrifice if we don’t first understand just how undeserving we are. Accepting that fact allows us to truly comprehend the loving-kindness, and forgiving nature of the God we serve. It gives extra emphasis to the message of verses 23-26. That He gave His own body and His blood for us – unworthy sinners.. Wretched beings that we are. The selfless, forgiving, awesome love is understood more fully by recognizing our own undeserving nature. In short, it’s an opportunity to recognize just how wretched we are, and how awesome is the God we serve. Praise be to God in the highest! Holy, Holy, Holy is His name, and thank you, Lord, for not giving me what I deserve! It’s April, and at least in my part of the world, the weather is finally starting to feel like Spring. Spring is a time of new beginnings; plants sprout, flowers bloom, and here on Eschewmenical we’re about to relaunch as well. The Lord Jesus, on the night he was betrayed, took bread, 24 and when he had given thanks, he broke it and said, “This is my body, which is for you; do this in remembrance of me.” 25 In the same way, after supper he took the cup, saying, “This cup is the new covenant in my blood; do this, whenever you drink it, in remembrance of me.” 26 For whenever you eat this bread and drink this cup, you proclaim the Lord’s death until he comes. (1 Corinthians 11:23b-26). In the spirit of Eschewmenicism, our authors will be giving us the lowdown on the differences between their denomination’s celebration of the communion (maybe even including what to call this sacred meal). How the church views its sacramental nature, and even how it’s properly administered. There are a lot of controversial beliefs and practices surrounding the Lord’s Supper (or the Mass). And we’re here to explore them. This is Eschewmenical! Note: waxeagle is having internet troubles, so even though he wrote this, I’m posting it. Jesus died on a cross. He rose from the dead. And He did it for us. Christ did rise from the dead, and He did it for us. He did it so that we who are in Christ could be raised into newness of life along with Him. For those who are in Christ, this has happened, this is happening, and this will happen. It is because of Christ’s resurrection that we were born again. Christ’s resurrection means we got new life. This new life came by the Spirit, and brought us back into fellowship with God and with His family. The purpose of this new birth, is to grow and live — for Christ — daily. This “water” that Jesus was referring to is the Spirit (cf. John 7:37-39), and “springing up” implies an ongoing process. God’s people are led by the Spirit; we move in the the gifts of the Spirit; we bear the fruit of the Spirit. And at the end of the day, it is all for the purpose of growing in fellowship with God and His family, the “body of Christ”. …”and so we shall always be with the Lord.” This final resurrection to new life will be one giant family reunion. We will be with the Lord, and we will be with one another — forever. It may be apparent by now that this post contains many instances of “we” and “us,” and not many instances of “you” or “I”. Scripture speaks almost solely of the people of God as one unified entity; one fellowship, one body, one bride, one nation, one spiritual house. Christ’s resurrection enabled us to come back into His fold; back into His family. Everything in Scripture points toward this final reconciliation to God and His people in Christ, and when all is said and done, Christ and His bride are the only artifacts from this life that we will see in eternity. This has major implications for how we view our relationships with one another. This is worth remembering when we consider the significance of communion. When we take communion, it is a shared communion. It is communion with God and with His family. Communion does not just represent the death of Jesus, and it does not just represent fellowship with the people in your congregation. Communion signifies the reunion we have in Christ to God and to His people — all of His people — regardless of doctrine or creed. and welcome back to a fairly exciting day for Catholics, news junkies and chimney sweeps. He allegedly had something to do with kidnapping of Jesuits during the Dirty War when he, himself, was superior of the order in Argentina. Also, considering Papal nomenclature, Francis means “The Frenchman” which neither he is nor St. Francis was. and lastly, “The Frenchman” means “The Freeman” whereas, as accepting the papcy, he made himself the least free slave of Jesus on the face of the Earth. He appears to live a devout life while being “of the people” by taking some sort of public transportation, I’ve seen it reported as “The Subway” and “The Bus” (but I wouldn’t be surprised if it was a sidewalk). He’s written a few books, some of which are on spirituality (and there’s another, interview book I found that you can go add to wikipedia and be a hero). His mother was a stay-at-home mom and his father was an Italian Immigrant. One shouldn’t assume this means anything even though it seems to be enough humility to qualify someone to run for President of the United States. But, knowing that he has humble roots should still mean something. 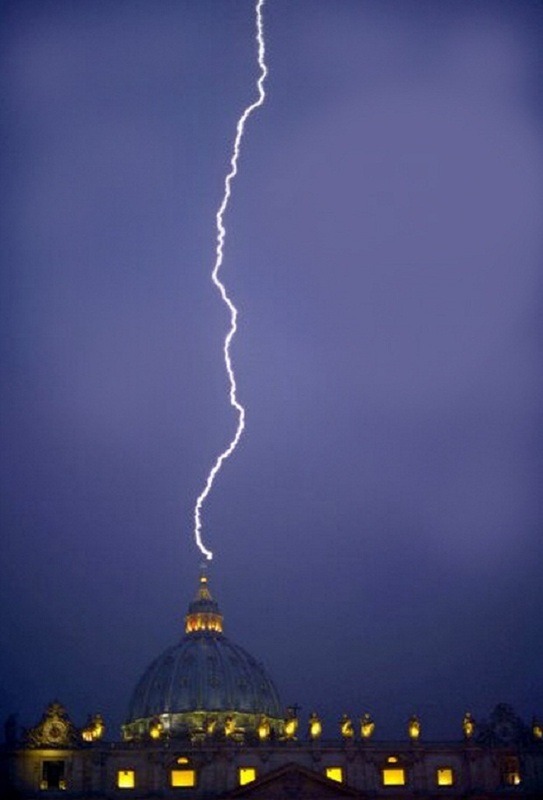 So, that’s my take on the Pope. If you have any questions about what a new Pope can or can’t mean for the Catholic Church or the whole Christian world, might I suggest christianity.stackexchange.com? *I was going to say E.E. Cummings but I’ll give the guy a break, it’s his first day on the job! So, unlike his predecessor, Bl. John Paul II, who held out to the very end to prove every last letter of what he wrote in Salvifici Doloris, Pope Benedict XVI is going down as the little Pope he wanted to be and leaving us with a lot of unanswered questions. Fortunately for us, there’s christianity.stackexchange.com! A website that, in 2005, was only a twinkling in the eye of no one ever, but now an excellent place to ask all your petrine, patristic and patrimonious questions. As well as all those things Protestants care about (like the Biblical Basis for everything). Editor’s note: This was supposed to be published back in the fourth week of December, but for various reasons, publishing was put off and off until now. It‘s Advent: time of Coming, or waiting for Coming, expecting Coming. Expecting the second Coming of Christ and also expecting the commemoration of His first Coming, of Christmas. And it’s the fourth week of Advent, its very end. This year it’s a sudden end, with Christmas Eve just a day after fourth Sunday of Advent. Thus says the LORD: You, Bethlehem-Ephrathah, too small to be among the clans of Judah, from you shall come forth for me one who is to be ruler in Israel; whose origin is from of old, from ancient times. Therefore the Lord will give them up, until the time when she who is to give birth has borne, and the rest of his kindred shall return to the children of Israel. He shall stand firm and shepherd his flock by the strength of the LORD, in the majestic name of the LORD, his God; and they shall remain, for now his greatness shall reach to the ends of the earth; he shall be peace. So the mainstream view of Messiah was as a great king who would renew the kingdom of Israel and make all the other nations its vassals, who would be a descendant of his ancestor David and who would be born in Bethlehem. We Christians know that it was in fact somewhat more complicated, but that’s sort of judging ex post. At that time virtually nobody was prepared for someone like Jesus, for a king whose kingdom is not from this world. Out of all the world, Mary was probably the best prepared for the Coming of Christ. We know that she became mother of Jesus, and we Catholic and Orthodox Christians dare to say she was Mother of God. Her pregnancy is another Advent, another time we commemorate each Advent. This last short week of Advent could be seen as especially focused on this aspect. Nine months of Mary’s personal Advent may seem just as a small full stop in comparison to many centuries of the Advent of Israel, and although the ratio between the two periods couldn’t be maintained, the fourth week of Advent is a similar full stop, or better, a colon followed by quotation marks with the Word of God inside. With the living Word of God who became flesh and made His dwelling among us. What did Mary think when the angel announced her that her son “will be great and will be called Son of the Most High, and the Lord God will give him the throne of David his father, and he will rule over the house of Jacob forever, and of his Kingdom there will be no end?” She must have known most (or even all) prophecies about the Messiah and their interpretations, so the question “how could a son of a poor girl like me become a king?” probably occurred to her, but she was always open for the mild, silent voice of Holy Spirit who slowly taught her about Father’s plans with her and her son. As a simple, humble soul she accepted God’s will without understanding it completely, but she strongly believed that she would understand whatever she should understand and whenever she should understand it (and that she wouldn’t understand what she shouldn’t understand, or before she should understand it). Her pondering is a good example of dealing with conflicts between faith and reason – believe first, but don’t stop pondering about it, and don’t stop trying to understand as much as you can while accepting your own disability to hold the whole truth. Her attitude may seem too similar to Zachariah’s (even few verses earlier), but Mary tried to understand so that she could follow God’s will without confusion (does this mean that she should try to convince Joseph to marry her earlier? Or should she wait for the wedding, even if it took years? Or is there some other option? What exactly does God want?) while Zechariah just wanted some extra sign to appease his lack of faith. The first thing Mary did after the strange visit from Gabriel was to pursue the best clue she found in the angel’s words – she visited her relative Elizabeth. I can’t believe that Mary was prepared for Elizabeth’s greeting like this, and even though her song (Luke 1:46-55) could be composed earlier (well, Bible critiques expect it was), Mary probably didn’t prepare it just for that occasion. I have experienced similar sudden reminding of some old song or Bible verse that just fits the moment many times and I’m sure that you experienced something similar too, so why couldn’t Mary? The point is that Mary was probably almost as surprised as when Gabriel came to her a few days before, and that she found rather more questions to think about than any clear answers. A few verses later we read that Mary stayed at Elizabeth’s for half a year – did it take so much time until Mary understood God’s plans with her enough (but still not completely)? When Christ came into the world, he said: “Sacrifice and offering you did not desire, but a body you prepared for me; in holocausts and sin offerings you took no delight. Then I said, ‘As is written of me in the scroll, behold, I come to do your will, O God. '” First he says, “Sacrifices and offerings, holocausts and sin offerings, you neither desired nor delighted in.” These are offered according to the law. Then he says, “Behold, I come to do your will.” He takes away the first to establish the second. By this “will,” we have been consecrated through the offering of the body of Jesus Christ once for all. The most important part of the meaning of Old Testament liturgy served in the Temple was to point to the Lamb of God, who takes away the sins of the world. By coming and offering His body, Jesus made it obsolete – the prophecy God has written in temple liturgy was fulfilled. But who could know this is the God’s will in advance? On the other hand, there is Mary’s approach – to expect the unexpectable. It’s not bad to try to understand God’s plans, but we should always prefer the blowing of the Holy spirit to our understanding of God’s plans. A final note to another aspect of Advent, in waiting for the second coming of Christ (to the world, or just to me in the moment of my death): do I really expect the unexpectable? Am I ready to accept whatever will come and say to Jesus Christ: “I am the handmaid [or some male equivalent] of the Lord. May it be done to me according to your word”? Or do I rely on some plan that would interfere with my faith if things happened slightly different in the end? Editor’s note: This was supposed to be published back in December, but due to a variety of reasons, publishing was put off and off until now. “A voice was heard in Ramah, weeping and loud lamentation, Rachel weeping for her children; she refused to be comforted, because they are no more” (Matthew 2:18, ESV). Herod wanted to prevent Jesus from becoming King as had been prophesied. Two thousand years later, a small American community is also weeping because of the death of children during this Advent season. December 14, 2012 was a tragic day for the community of Newtown, Connecticut. Twenty children and eight adults were killed (including the shooter and his mother). Their deaths were evil. In the midst of this tragedy, there are plenty of pundits stepping up to the microphone to use this as an opportunity for advancing various agendas and political platforms. Whether it’s liberal politicians endorsing gun control legislation or the Christian Right using this as an opportunity to scold the nation for a breakdown in morality and not allowing prayer in schools, Rachel is still weeping for her children. She still refuses to be comforted. But politicians don’t have answers or hope. Neither do Christian moralists. But a little perspective is in order. Every day even more children are killed in the name of “a woman’s right to choose.” This murder will even be subsidized by American tax dollars. Not to mention the violence committed daily in many urban neighborhoods. We live in a culture of death. In 1 Corinthians 15:26, St. Paul reminds us that “The last enemy to be destroyed is death.” All death is evil. It is our enemy. God did not create suffering. All death flies in the face of our Creator, who made us for life. The only answer to violence is love. No legislation will fix the problem. No amount of moralizing will address the root issue. The problem is sin. We can only prevent violence by freeing our hearts from it. Only love can free our hearts. Even during this horrific tragedy, heroic acts of love were performed. The teachers who died trying to protect their students showed real love. John 15:13 tells us, “Greater love has no one than this, that someone lay down his life for his friends.” The ultimate act of love for all mankind was that of Jesus’ death for us. But even His death was evil. In fact, it was the most evil death of them all. Death is a consequence of sin, but Jesus didn’t sin! He is the only one who didn’t deserve to die! Yet He chose to…. Jesus hated death. We know this because he ruined every funeral he ever attended. Death is not right. It’s not the way things are supposed to be. But Jesus died in order to defeat death. He trampled down death by death. And He rose from the dead. He is alive and death is dead. That is our comfort. It is the only comfort we have. This Advent season we remember that when Christ comes again He will utterly destroy the last enemy: death. The grave cannot hold us. We will rise again in our bodies and live forever. Christ is risen! I’ve always been a “glass half empty” kind of guy. When life hands me lemonade, I’m disappointed at not having the lemons. My wife sometimes calls me Squidward. And for our Advent blog, I’m stuck with joy. That’s just great. Looking at this week’s Gospel reading, it appears that John the Baptist might also have been a “glass half empty” guy. John said to the crowds that came out to be baptized by him, “You brood of vipers! Who warned you to flee from the wrath to come? Bear fruits worthy of repentance. Do not begin to say to yourselves, ‘We have Abraham as our ancestor’; for I tell you, God is able from these stones to raise up children to Abraham. Even now the ax is lying at the root of the trees; every tree therefore that does not bear good fruit is cut down and thrown into the fire.” And the crowds asked him, “What then should we do?” In reply he said to them, “Whoever has two coats must share with anyone who has none; and whoever has food must do likewise.” Even tax collectors came to be baptized, and they asked him, “Teacher, what should we do?” He said to them, “Collect no more than the amount prescribed for you.” Soldiers also asked him, “And we, what should we do?” He said to them, “Do not extort money from anyone by threats or false accusation, and be satisfied with your wages.” As the people were filled with expectation, and all were questioning in their hearts concerning John, whether he might be the Messiah, John answered all of them by saying, “I baptize you with water; but one who is more powerful than I is coming; I am not worthy to untie the thong of his sandals. He will baptize you with the Holy Spirit and fire. His winnowing fork is in his hand, to clear his threshing floor and to gather the wheat into his granary; but the chaff he will burn with unquenchable fire.” So, with many other exhortations, he proclaimed the good news to the people. Wrath and unquenchable fire…this is the good news? That’s my kind of guy. For Zephaniah, the glass was more than half empty. His book of prophecy begins with a bleak and hopeless outlook: “’I will utterly sweep away everything from the face of the earth,’ says the Lord.” And it only gets more bleak as Zephaniah fills in the details. It’s hard to imagine anyone could be joyful on a day like that. But this week’s reading from Zephaniah 3:14-20 points to another side of the Day of the Lord. Sing aloud, O daughter Zion; shout, O Israel! Rejoice and exult with all your heart, O daughter Jerusalem! The LORD has taken away the judgments against you, he has turned away your enemies. The king of Israel, the LORD, is in your midst; you shall fear disaster no more. On that day it shall be said to Jerusalem: Do not fear, O Zion; do not let your hands grow weak. The LORD, your God, is in your midst, a warrior who gives victory; he will rejoice over you with gladness, he will renew you in his love; he will exult over you with loud singing as on a day of festival. I will remove disaster from you, so that you will not bear reproach for it. I will deal with all your oppressors at that time. And I will save the lame and gather the outcast, and I will change their shame into praise and renown in all the earth. At that time I will bring you home, at the time when I gather you; for I will make you renowned and praised among all the peoples of the earth, when I restore your fortunes before your eyes, says the LORD. Needless to say, those days are not here yet. Disasters and oppression have not disappeared. Although Christians believe Jesus is the long-awaited Messiah promised by God, we are in a sense still waiting for him to set things right. But we can trust that one day God will set things right. We can have confidence not that we are now living in the best of all possible worlds, but that God will eventually overcome all evil and bring healing and wholeness to a world that has been marred by sin since the days of the first humans. Neither Zephaniah nor John the Baptist were inclined to sugar-coat the message of God’s judgment. But at the same time, they both recognized that the day of judgment would also be a day of joy. For Christians, joy does not stem from having a positive outlook on life, from looking at everything through rose-colored glasses. The source of our joy is our trust that God will complete the work he set in motion when a baby was born in a barnyard so long ago. The glass may be half empty now, but one day it will be overflowing. This is a community blog for Christianity Stack Exchange. More community blogs are available at Blog Overflow.